An expert corporate affairs practitioner skilled in all areas of communications and reputation management, you’ll be hard pressed to find anyone as passionate, thorough and decisive as Lynn. Her 20 plus years of experience includes leading communications for national retail brands within ASX-listed companies Wesfarmers and Coles Myer Ltd, where she worked across all aspects of corporate affairs, specialising in risk management and stakeholder engagement, brand and marketing communications. 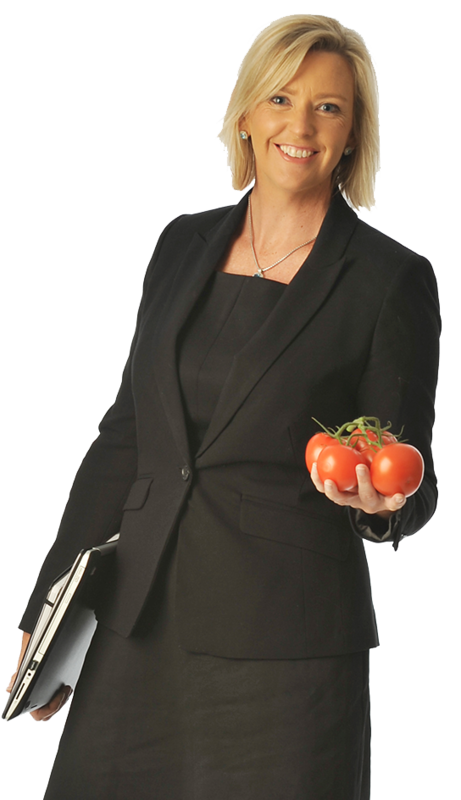 Make no mistake – Lynn’s a great asset in any board room – but in true Sauce style she’s just as happy working directly with producers out in the field. Her love of agriculture – first piqued during her time at Coles supermarkets in the 90s, was honed at Devondale Murray Goulburn, where she was General Manager – Communications. Lynn led corporate affairs for Australia’s biggest dairy processor at a time of rapid strategic growth. She was heavily involved in supplier communications and engagement, and led the communications planning and execution for a high profile takeover bid and pre-listing of the company’s Unit Trust on the ASX. From organisational change management and strategic stakeholder engagement to crisis communications spanning multiple companies and continents, Lynn’s skill set and track record speaks for itself. Never one to settle for less than perfect, her keen eye for detail and commitment to achieving results makes Lynn an advocate any client would want on their side. We’re certainly delighted to have her on ours! Sauce loves Lynn’s full steam ahead attitude. When she’s given a project, she dives right in and commits her absolute all to both the client and the rest of the Sauce team. Lynn has played a crucial role in developing and executing communication strategies for a number of Sauce’s major agribusiness clients. She says being able to extend her knowledge and experience in this area and see the impact of this work on primary producers is something that makes her smile…every day!